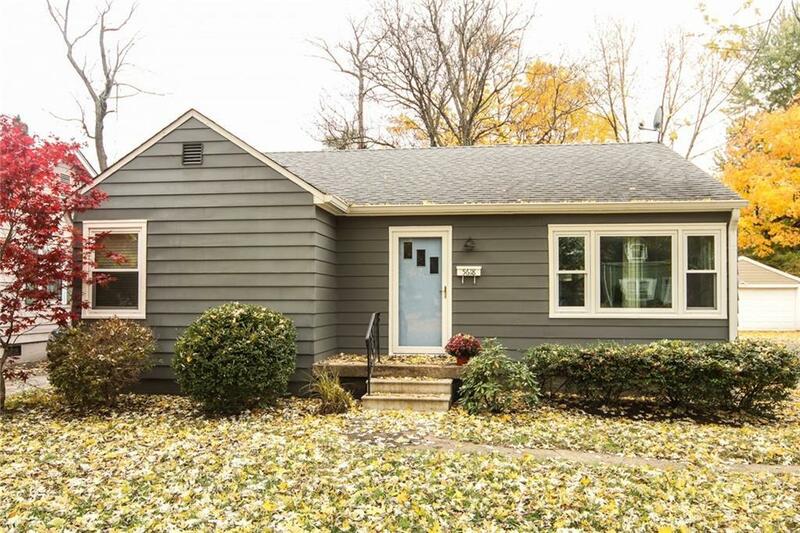 Attractive and charming bungalow situated on a quiet street in the heart of Broad Ripple. This beautiful home features 2 large bedrooms, an updated bath, original refinished hardwood floors, new ceramic floors in kitchen and laundry room. The backyard is complete with a huge deck and fire pit; it is the perfect place for outdoor entertaining. The four-legged members of the house will like the large fenced yard to run and play. Updates include newer windows, water heater, roof and updated bath. The kitchen features lots of storage space and new stainless steel appliances. Window treatments stay as well as washer and dryer. Plus there is a two-car garage with loads of storage space. Shopping, entertainment and biking so close.